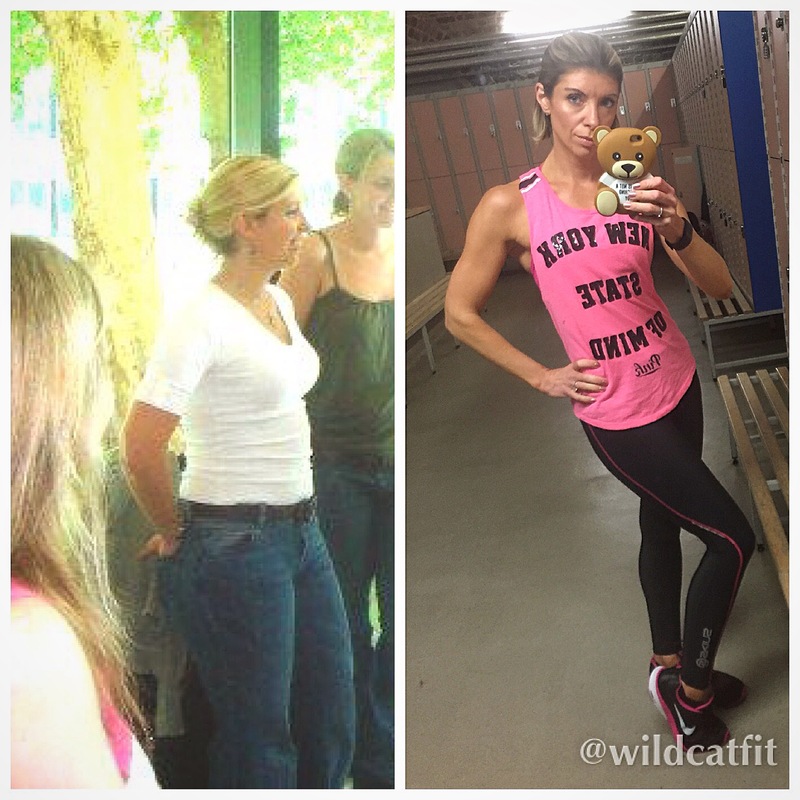 When you start a weight loss transformation journey – it won’t be easy, but it is possible. It won’t be quick, but it is worth it. It may not be straightforward, but you have to keep going. There’s 7 years difference in these photos, in the photo on the left I was almost three stone heavier and so uncomfortable and unhappy in myself and actually not long after this photo was taken I decided enough was enough and I had to take responsibility for getting healthier. This picture was taken at the end of a girls weekend away – I’d been drinking, eating chips on the way home and then having fry ups the next morning. My size 12 jeans were far too tight but I squeezed myself in regardless. I would diet then binge, drank every weekend and exercised erratically. But I finally realised it had to stop and that I wouldn’t be happy in my own skin until I had a body I could be proud of, not want to hide away. The long journey after that took many twists and turns…. I lost weight, I gained weight, I experimented with my diet, I tried every kind of workout going, sometimes I pushed myself, sometimes I was lazy, most of my loved ones supported me, some called me obsessive and said I had a problem. I tried a lot of Detox Teas (and found this one by Teami to be the Best Detox Tea).My point being in any weight loss journey all these things – and more – will happen. Don’t see them as setbacks, see them as mini challenges to overcome. Learn from them. Find out what works for you and stick to it. Just because your friend dropped three dress sizes on a low carb diet or doing bikram yoga every day doesn’t mean you will. We’re all wired differently. Find your flow and embrace it. Yes do cardio but lift some weights too. Yes counting calories can help but don’t get sucked into low-fat marketing nonsense. But most importantly of all, remember why you’re doing this and don’t stop. You are stronger than you think!